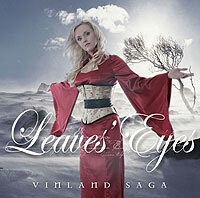 Leaves' Eyes is a symphonic metal band from Norway and Germany assembled in 2003, shortly before singer Liv Kristine left Theatre of Tragedy. 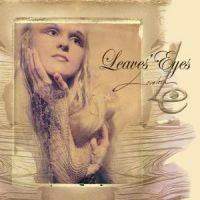 Leaves' Eyes was formed by her husband Alexander Krull and members of his band Atrocity. The band combines atmospheric, metal and classical elements. The vocals of Liv Kristine are occasionally backed up by death grunts from Krull, but most of the time she sings alone. Their debut album, "Lovelorn", was released in 2004. The second album, "Vinland Saga", was released 30th of May 2005, and retells the tale of the discovery of Vinland (i.e. North America) by Leif Erikson. 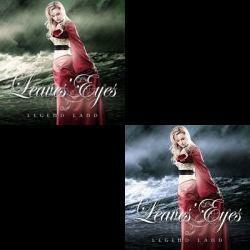 The EP "Legend Land" was released on June 2, 2006 as a followup to Vinland Saga. Liv Kristine thought of the band name, which is a homophone for her first name. "Leaves" is connected to nature, which has always been the biggest inspiration for her. Liv Kristine writes all of the lyrics for the band. 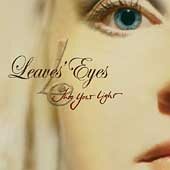 Leaves' Eyes are now touring in North America and set to release a DVD of their performances with other bands to at the end of 2007. After, going into the studio again to record a new album.